John Garrett, in his book, “To Live Among the Stars” recorded Wesleyan Christian Missionary views of Fiji. Lyth’s world-view different: Richard Burdsall Lyth, another notable missionary, who was both minister and medical man lived with Hunt through a period of bloodshed and danger at Somosomo. Lyth’s matter-of fact Yorkshire temperament accorded well with Hunt’s. 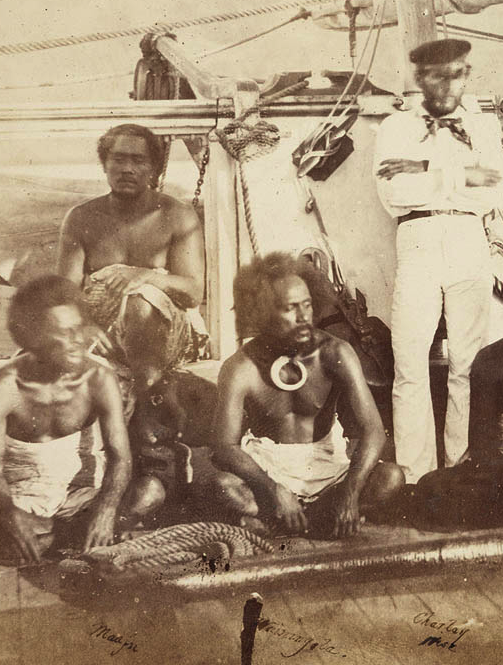 Missionary personalities: By comparison they found Missionary, Cargill moody; Missionary, Gross, who suffered at Rewa from severe dysentery, was relatively weak. Hunt’s Somosomo journal astonishes by clear-minded assessments of a world where its author was a stranger. Somosomo gave Hunt the apprenticeship for his later crucially important work on Viwa. Cannibal customs: These were recorded by others in the mission with distraught horror, were to Hunt a matter of calmer consideration; he observed before stepping in to reform. After a battle, he “studied the sacrifice of a captured chief, who was given to the God, cut up and cooked about three or four yards from our fence; I saw the operation which was performed with a skill and dispatch that might be expected from well-instructed cannibals”. I saw a priest sitting in the door of the temple looking at the men who were employed in cooking, etc”. Preparations for war: Hunt’ s journal went on to describe the chief’ s prayers before a battle, the presentation of highly prized tabua, whales’ teeth, and coconuts. After the war ended he later laconically reported that the women danced to welcome the fighters home and that “the songs on these occasions are very lewd.” Hunt, Lyth and Thomas Williams, their successor, were on good terms with the priest of Somosomo’ s great war god, and visited his temple. Death of children of missionaries: Disease affected the mission seriously during its first period. At Somosomo Hannah Hunt’s twelve-day-old baby and one of Mary Anne Lyth’s children died. Cargill’s wife Margaret bore a child who died at Rewa and herself succumbed afterwards to protracted dysentery and haemorrhage. She had been Cargill’s mainstay – one person in Fiji who loved him. Plunged in grief, he sought and gained leave to return to England with his small orphaned girls, against the will of Gross, who thought he should have stayed on. Gross offered to lodge the children in his house if Cargill decided not to go. The two British pioneers of Wesleyan Christianity in Fiji were not easily compatible’.